It has come to the knowledge of the global family of the Indigenous People of Biafra (IPOB) how Nigerian Police officers posted in Biafraland, particularly those Fulani Police officers deployed in Anambra and Abia, are used to parade innocent citizens as IPOB members in Awka with allegations of carrying guns and AK47 rifle in Orumba, Anambra State. It is clear that the whole allegation was purely designed and handed over to Fulani Police officers by Governors of Anambra and Abia States, Chief Willie Obiano and Okezie Ikpeazu. It is important we notify the whole world that the government of Fulani people in Nigeria, Igbo governors, Police and Army are at it again, they have intensified another round of manhunt and arrest of individuals including innocent citizens they suspected to be sympathizer or IPOB member in Abia and Anambra States. Our people are in serious danger over the recent and latest version of manhunt and illegal arrest going on in Abia and Anambra States which was instructed by Okezie Ikpeazu and Willie Obiano. It is a pity and unbelievable that Anambra State police commands in Awka would be working with the already scripts handed over to them by Willie Obiano to intimidate and arrest innocent citizens who are living in Orumba North and South of Anambra State with the accusation of carrying guns and AK47 rifles. IPOB members don't go with guns or AK 47 rifle since inception and formation of this great and noble movement which is solely championing Biafra freedom and sovereignty by our prophet and peaceful leader Mazi Nnamdi Kanu. Nigerians must thank God, the father in Heaven who mandated our leader Mazi Nnamdi Kanu to be peaceful in all his approach to restore Biafra sovereignty. The most painful and disturbing thing is how media houses in Biafraland and Nigerians at large refused to be bold enough to ask police, Obiano and Okezie Ikpeazu questions about the offense and false allegations Police, DSS, Army always level against IPOB members in the country. We wonder and are still surprised at when IPOB started carrying guns and AK47 rifle in Biafraland or in the whole of Nigeria. We are worried over the deployment and posting of Fulani Nigerian police and army officers in Biafraland, all the Commissioner of Police in Anambra and Abia States including other States in Biafraland are Fulani officers, both their spokespersons, Area Commanders and DPOs, all are Fulanis. Our people are seriously under cage while the so-called Governors who claim to be chief security officers of the state and Ohaneze Ndigbo are busy licking their Fulani slave masters in the North. 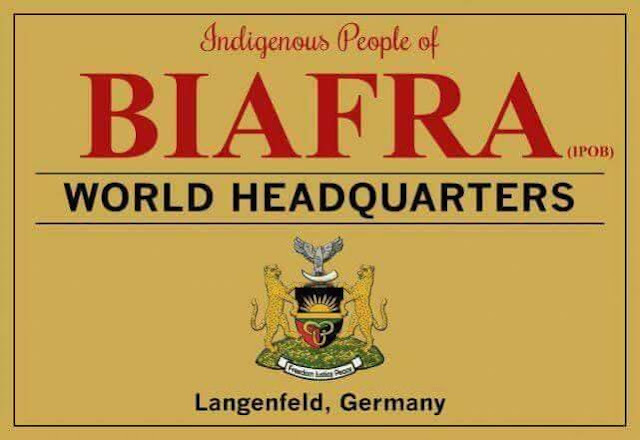 We hereby reiterate once again to all and sundry that IPOB members never attacked or burnt police station in Ajali of Orumba Anambra State and will never do so until Biafra freedom is restored, therefore, we call on friends and relatives to Obiano and Ikpeazu to advise them to release those arrested illegally in their respective states immediately particularly those in connection to this recent incident in Orumba, whom we are not unaware that they never in their lifetime think of attacking or burning any police station in Ajali Orumba LGA or anywhere across Biafraland.